Sankarshan Thakur was born in Patna in 1962 and went to school at St. Xavier’s, Patna and St. Xavier’s, Delhi. He earned a Bachelor’s degree in Political Science from Hindu College, Delhi University, in 1983. He began his journalistic career with SUNDAY magazine in 1984. He has been Associate Editor with The Telegraph and Indian Express. Before returning to The Telegraph for his second stint in 2009, he was Executive Editor of Tehelka. Thakur is currently The Telegraph‘s Delhi-based Roving Editor. He has extensively reported Kashmir, Bihar and socio-political conflict in the sub-continent. 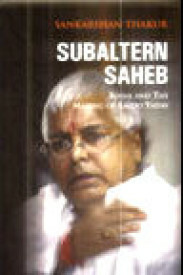 He is the author of Subaltern Saheb, a political biography of Laloo Yadav. His latest book is the widely-acclaimed ‘The Brothers Bihari’, a political diptych on Laloo Yadav and Nitish Kumar. 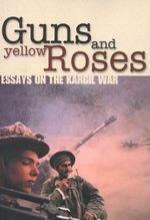 He has published monographs on the Kargil War, Pakistan and caste honour killings in Uttar Pradesh.